Size: approx. 10-15 mm. Photo: 09/06/11, 11 pm. 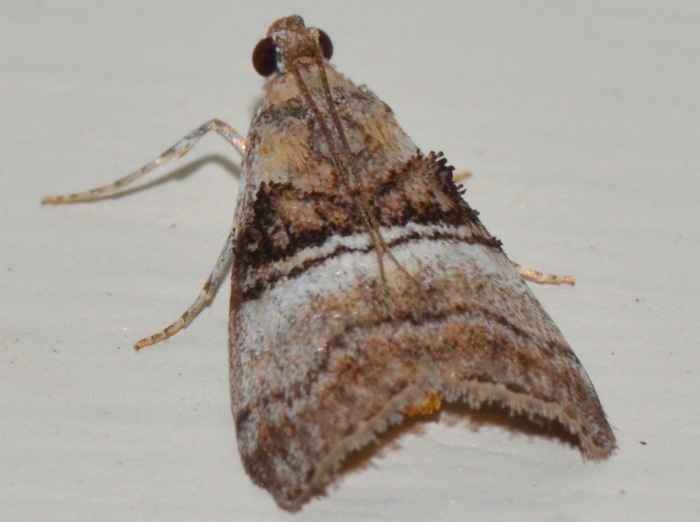 This moth is possibly Pococera asperatella (Maple Webworm Moth - Hodges#5606) or Pococera militella (Hodges#5604). The genus has 27 species in North America.